This CTS Knowledge Base article describes the fundamental differences between soot and ash particles in the DPF. The article summarizes key differences in particle size and composition, which play an important role the manner in which the particles are removed from the filter. Ash and soot are fundamentally different materials, but both accumulate in the DPF. Removing each of these materials from the DPF requires completely different processes. Soot is normally removed from the DPF through regeneration, which burns off the soot, leaving the ash behind. Ash, on the other hand, by definition is incombustible and must be removed from the DPF through some type of cleaning process. 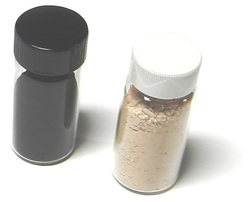 Figure 1: Comparison of soot and ash agglomerate particle size. Soot particles form in the engine’s combustion chamber as the result of incomplete combustion. The particles glow and agglomerate in the exhaust system before reaching the DPF, where the particles are captured in the filter and oxidized during the regeneration process. Ash, which is the incombustible material left behind following the regeneration process builds up over long periods of time. In conventional diesel engines, only a small percentage of the soot is composed of ash, typically less than 5% . 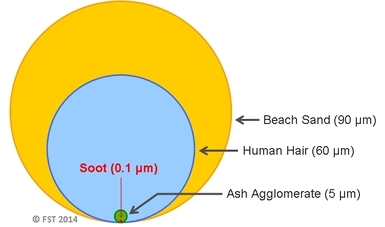 Figure 1 provides a comparison of the soot and ash particle diameters to the diameter of a small grain of beach sand and the diameter of a human hair. As shown in the figure, soot agglomerates are quite small, with average diameters of only 100 nm (0.1 microns). Ash particles, on the other hand, start out in the engine as particles even smaller than soot, but grow and agglomerate over time in the DPF (1 – 10 microns), which exceeds the size of the soot particles that originally carried the ash into the filter to begin with . Ash is, therefore, formed in the DPF over long periods of time, following repeated regeneration events and builds up in the DPF until it is removed through filter cleaning. The specific ash properties, and the ease with which the ash may be removed from the DPF are strongly affected by a large number of factors occurring over the entire operating history of the filter. In contrast, soot remains in the DPF for only a short period of time before it is regenerated. Figure 2: Soot and ash removed from a Diesel Particulate Filter (DPF). Although the ash only makes up a very small fraction of the incoming soot, it remains in the DPF indefinitely and builds up to high levels. In fact, after only 33,000 miles, the amount of ash in the DPF may equal the amount of soot (prior to regeneration), and after 150,000 miles, nearly 80% of the material trapped in the DPF is ash. In other words, a high mileage DPF contains much more ash than the soot it was originally designed to capture . Figure 2 shows a comparison between soot (left vial) and ash (right vial) removed from two different DPFs at CTS. The soot is composed primarily of carbon, but also contains other hydrocarbons originating in the fuel and engine oil, as well as sulfates, and a small amount of ash. The specific proportion of the various soot constituents is dependent upon the engine operating conditions, as well as the type of fuel and oil used. Soot is easily distinguished from the residual ash by its dark color. The ash, in comparison, is much lighter in color and is composed of primarily metallic components which are incombustible. Although many sources contribute to ash, the majority of the ash originates in the engine oil. Ash properties can also vary greatly between DPFs used on different vehicles or pieces of equipment, based on differences in the engine operating conditions, lubricating oil, regeneration strategy, and type of DPF. These differences in ash properties also play an important role in how the ash affects engine and DPF performance and also how easily the ash can be removed from the DPF. Ash and soot have a number of fundamental differences, both in terms of their particle size and composition, which affect the manner in which they may be removed from the DPF. Cleaning processes that involve heating the DPF, so-called “baking” only remove the combustible portion or soot, and do not remove the ash. Since the ash is incombustible, completely different cleaning processes are required to remove the ash. Sappok, A. and Wong, V., “Detailed Chemical and Physical Characterization of Ash Species in Diesel Exhaust Entering Aftertreatment Systems,” SAE Technical Paper 2007-01-0318, 2007, doi:10.4271/2007-01-0318. Sappok, A., Govani, I., Kamp, C., Wang, Y. et al., “In-Situ Optical Analysis of Ash Formation and Transport in Diesel Particulate Filters During Active and Passive DPF Regeneration Processes,” SAE Int. J. Fuels Lubr.6(2):336-349, 2013, doi:10.4271/2013-01-0519.